We are excited to announce that our expansion project is complete. We have been blessed with excellent volunteers who have worked tirelessly to complete the new worship space in record time, and the generous financial support of our membership and visitors. It is amazing to see God’s handiwork in bringing all of the pieces together enabling us to expand our facility to accommodate our growing children’s ministry and provide a wonderful center dedicated to worship. We will celebrate our very first worship service in the new Worship Center Sunday, March 24 at 10:00 am. 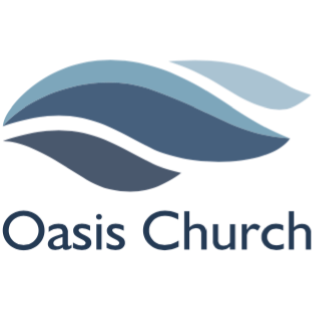 Please join us for this exciting time in the life of Oasis Church, and spread the word to your friends and neighbors. With the completion of our new space we are dedicating our previous space to our Children’s and Youth Ministries, as well as a Children’s Church and Nursery. We are diligently seeking someone with a passion and desire to minister to the children and families who will be reached through the expansion of our facility to serve as our Children’s Ministry Leader. Please continue to pray that God will lead us to this individual. To see some of our project progress photos click HERE. 1 When Solomon had finished praying, fire came down from heaven and consumed the burnt offering and the sacrifices; and the glory of the Lord filled the temple. 2 And the priests could not enter the house of the Lord, because the glory of the Lord had filled the Lord’s house. 3 When all the children of Israel saw how the fire came down, and the glory of the Lord on the temple, they bowed their faces to the ground on the pavement, and worshiped and praised the Lord, saying:“For He is good,For His mercy endures forever.” 4 Then the king and all the people offered sacrifices before the Lord. 5 King Solomon offered a sacrifice of twenty-two thousand bulls and one hundred and twenty thousand sheep. So the king and all the people dedicated the house of God. 6 And the priests attended to their services; the Levites also with instruments of the music of the Lord, which King David had made to praise the Lord, saying, “For His mercy endures forever,” whenever David offered praise by their ministry. The priests sounded trumpets opposite them, while all Israel stood.